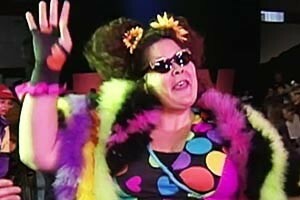 Joey Marella was a familiar background figure to anyone who watched WWF programming in the 80’s and early 90’s. The adopted son of WWE Hall of Famer Gorilla Monsoon (aka Gino Marella), Marella followed in his father’s footsteps by working in the ring, but as a referee instead of a wrestler. Although his father was an important figure in the WWF, Joey started from the ground up, setting up rings and learning the ins and outs of the business from a layman’s perspective. 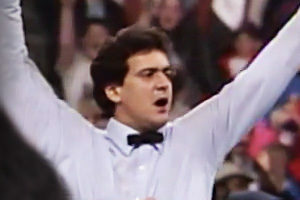 Marella began his WWF career in 1983 and over time, worked his way into the ring as a referee, first at local matches, working his way up to television. 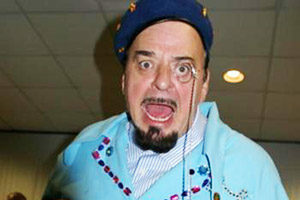 Eventually, Marella became one of the WWF’s most successful referees. He officiated historic matches such as the Andre the Giant vs. Hulk Hogan main event at WrestleMania III, and the highly regarded Davey Boy Smith vs. Bret Hart at 1992’s SummerSlam in Wembley Stadium. In an online interview with Wrestletalk TV, referee Earl Hebner discussed what a wonderful person Marella was and how he could perk up anyone having a bad day. Hebner revealed that he was scheduled to referee the last match on a card, but Marella offered to referee the last match so Hebner could get out early and fly home from the nearby Newark Airport. Sadly, this occurred on July 3, 1994, and what happened next would cause Hebner to forever question his decision to take up his friend’s offer. Tragedy struck on July 4, 1994 when Marella was driving on the New Jersey Turnpike after officiating matches at a television taping in Ocean City, Maryland. Marella was accompanied by manager Harvey Wippleman (aka Bruno Lauer). Marella reportedly fell asleep at the wheel, crashing through a guardrail and into a tree. Wippleman recalls an uncanny hush as Marella lay still. Wippleman repeatedly asked Marella if he was dead, finally acknowledging the young man’s life had been snuffed out in the crash. Wippleman survived the crash because he was wearing a seatbelt but Marella died at the scene, having failed to wear a seatbelt. Marella was only 31. Joey Marella’s death affected his father tremendously, with some believing it contributed to Gorilla Monsoon’s death at the age of 62. However, the young man’s death had a positive effect too as the WWF implemented a new travel policy to prevent a similar tragedy from happening. 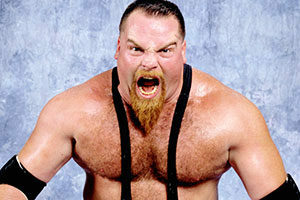 The WWF instituted rules that WWF personnel have to check into hotels when working late. Furthermore, WWF personnel could no longer travel alone and everyone traveling together had to agree to travel. Although Joey Marella died over twenty years ago, his memory lives on. WWE ring announcer Tony Chimel christened his son Joey to honor Marella as did Joey’s sister Valerie, who named her twin sons Joey and Gino, in honor of her brother and father. Joey is buried at Lakeview Memorial Park in New Jersey, next to his father. What are your memories of referee Joey Marella? Be sure to share them in our comments section below.